Thinking about installing a swimming pool in your yard? It’s the ultimate accessory for the hot Australian summer and an excellent addition to any yard. When it comes to pools, there are a lot of options to choose from, and a good place to start your search is by thinking about what style and shape you would like. Lap pools are long and thin which can be a good shape to run along the side of either a fence on your property or a terrace. They can also be a good choice if you don’t have a wide area to play with. While they are mainly used by adults for swimming laps, children don’t mind what shape and size your pool is – just that you have one. The classic pool design is rectangular, with small seats in the corners of the deep end, and steps to enter the pool either in the middle or at one corner of the shallow end. Around the edges of the pool, there is a safety ledge for little swimmers. The Roman pool design is long and rectangular, with steps going down at the shallow end. At the deep end of the pool, there is a seated area, and the whole pool has a ledge around the edges for safety. It’s a traditional design suited to straight lines in your landscaped area. For more of a natural look, you could opt for the Harvest pool design. It’s rounded edges also curve in on one width of the soft rectangular shape. In one corner of the deep end there is a small seat, and at the opposite corner, there is a set of stairs – all surrounded by a safety ledge. The Haven pool design is swimmers pool – with curved steps around the left side of the pool. Down at one side of the deep end, there is a large seated area which is perfect to hang out in on lazy days. There are also other “less pool-like” options, such as a traditional spa and a swim spa – which is a combination of a swimming pool and a spa. It’s a good idea to mark out the area in your backyard of the design of pool that you are thinking about purchasing to visualise the space. If you are considering getting a new pool, then you have come to the right place at Blue Haven Pools and Spas. 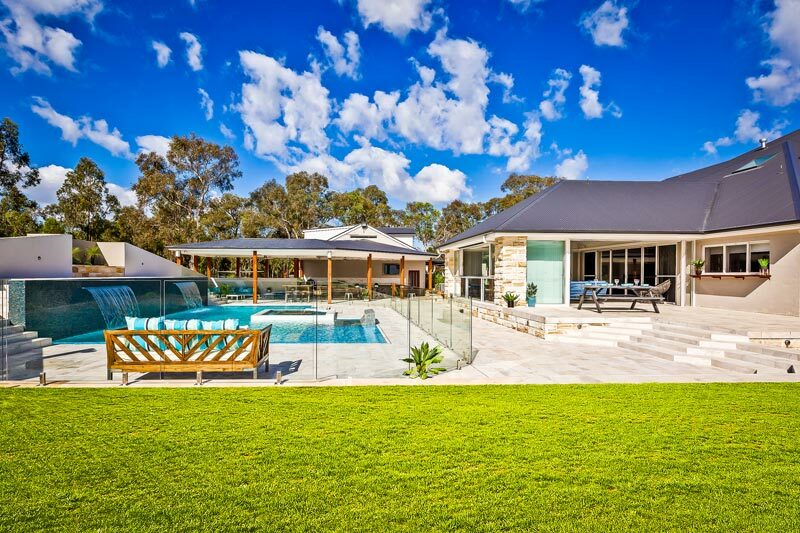 Our range and the team of experts make designing and building your dream pool so much easier.